With a plethora of personal competitions, achievements, and records on their mantels from throughout the year, three Maroons have headed to Ohio Wesleyan University to compete in the NCAA Division III Outdoor Track and Field Championship against the best talent from across the nation. The first of those three Maroons, second-year Michael Bennett, is a familiar face on the national level. Last year, Bennett qualified for the national championships in the pole vault, a season that was noted by school records in the event, as well as a UAA Championship. This season, Bennett has added not only another conference title but also the national indoor title in the pole vault. Bennett’s event was one of the first to wrap up action on the weekend as the event took place in its entirety yesterday. In a momentous and incredible display of talent, Bennett took home second place in the pole vault after being seeded fifth in the event. 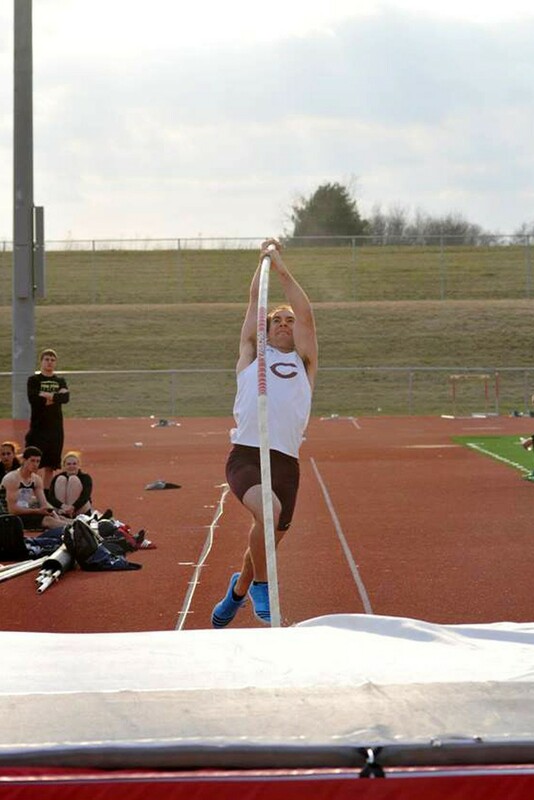 Even more remarkably, Bennett shattered the previous school record in the pole vault, one he set earlier this year with a 4.90m performance and a new school record of 5.10m. While this mark was just short, .05 meters to be exact, of a national title, Bennett displayed much of the same technique, form, and drive that carried him to the greatest of heights this season. “Personally I have been very slow and methodical, yet consistent, in my progression throughout the year. I have had to make some technical adjustments that take time to get used to,” Bennett said. One of the other two South Siders making the trek to Ohio this weekend is the ever-speedy first-year Michelle Dobbs. In possession of a UAA Championship in the 800-meter run in both outdoor and indoor competition, a UAA Rookie of the Year award, and All-American status, Dobbs entered this weekend with her sights set on a national title. For Dobbs, that quest is on hold until later tonight when the prelims in the 800-meter run, in which she has qualified as the fifth seed with a time of 2:10.45, take place. Prelims will be at 8 p.m., which will be followed by the finals on Saturday afternoon. “Now that we’re on to the Nationals part of the season, there’s still definitely work to be done,” Dobbs said. Joining Bennett and Dobbs this weekend will be the last of Maroon national qualifiers, second-year Brianna Hickey. Like her two teammates, Hickey has the achievements of All-American status and UAA Champion as notches on her belt, but there is still a bigger prize to be had. Hickey entered this weekend as the sixth seed in the 1500-meter run with a time of 4:32.43. Unfortunately, in an excruciatingly close finish, Hickey missed out on the Saturday final for the 800-meter as she finished 13th in the prelims with a time of 4:37.85 yesterday, one spot and half a second shy of the finals. Live coverage of this weekend’s events, notably those of Dobbs, can be found at ncaa.org, where competition results will be posted.